Return on Investment (ROI) is very important in inbound marketing campaigns. It shows whether marketing campaigns are successful in attracting visitors, and converting them into customers. 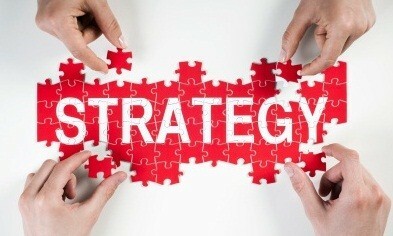 Every marketing campaign needs to measure the ROI or else data on how effective the inbound marketing is will be lost. This involves large numbers of people knowing about your marketing campaign. The awareness can come from using SEO techniques (like increasing the number of visitors to websites through link building), and social media marketing strategies (like social media mentions to generate interest). Increase in awareness leads to increase in the ROI of B2B marketing. This is another way of measuring the ROI of inbound marketing. Under engagement focus is on how customers engage with the content. The following content marketing metrics (systems of measurement) indicate whether there is engagement with customers; email sign-ups, comments and social shares. The number of visitors your website receives is also used to find the ROI of the inbound marketing campaign. Increase in page views leads to increase in traffic, indicating a good ROI on your digital marketing strategy. An increase in conversion rates shows that an inbound marketing campaign is effective. Analyse conversion rates to measure the ROI. A key indicator is performance of landing pages in attracting new visitors, and converting them into customers during online advertising. Use trends such as revenue growth during a marketing campaign to know the ROI. You can use channels like PPC (Pay-Per-Click), from where some of the sales come from, to decide whether there is ROI of inbound marketing or not. At WSI OMS, we are experts in inbound marketing and content marketing for lead generation. For more information on our effective digital services like B2B marketing, social selling and search engine optimisation, get in touch with us today.